Just beet it! – Hurried Home Chef! 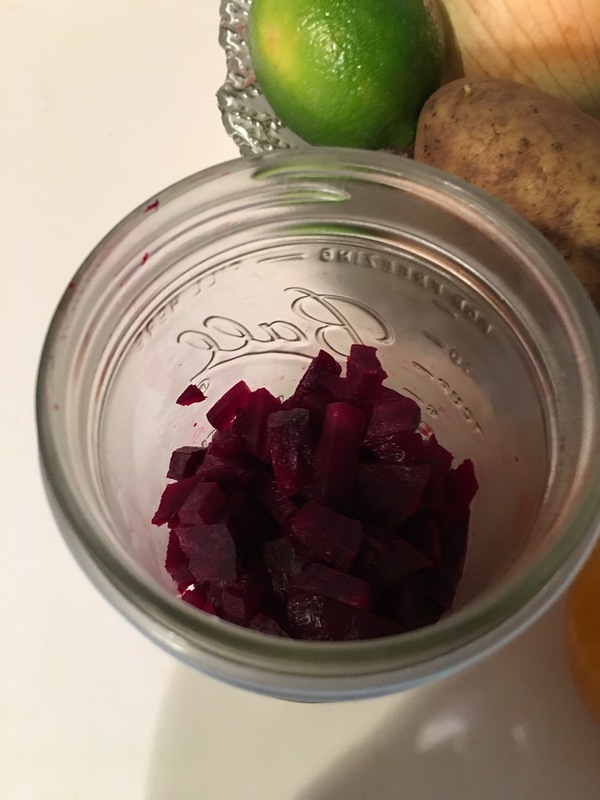 If you think you don’t like beets and you haven’t tried golden beets, please reconsider! It’s the season right now and it’s worth a (re)try. 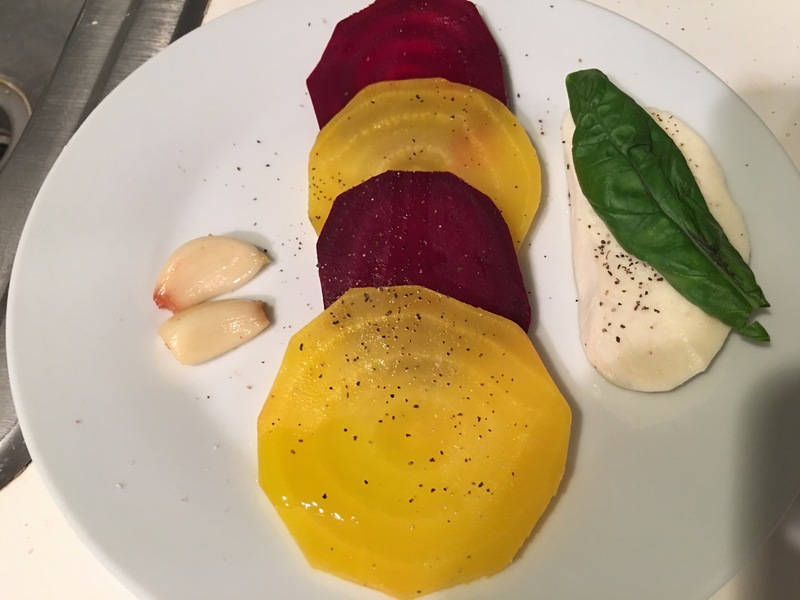 The golden beets are milder and not as earthy as red beets. They are easy to make, let your oven do all the work. I peeled them first then put in foil with some garlic. The goldens will brown, so you need to serve right away or roast them with the skin on. Just cut off the root part. 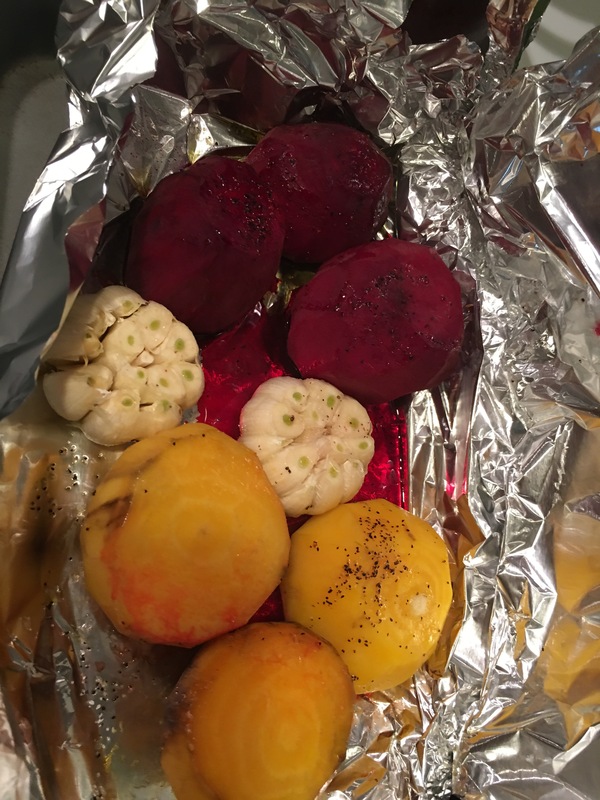 I placed them in a foil pouch, inside of a baking dish, more for the cleanup than anything else. Also to allow them to steam. I used a tablespoon of water, some olive oil, salt, pepper, and a bit of cayenne. The heads of garlic cloves–I peeled off the loose paper, and cut the bottom off slightly, just enough to expose the garlic, then olive oil and salt as well. Depending on what else you’re cooking in the oven, you can put the temperature at 350 or 375 and roast for about an hour. Once they come out of the oven, you’ll have to peel them, like a very hot potato. Then cut in whatever way you want to serve. I happened to have mozzarella already, so I made a caprese salad. 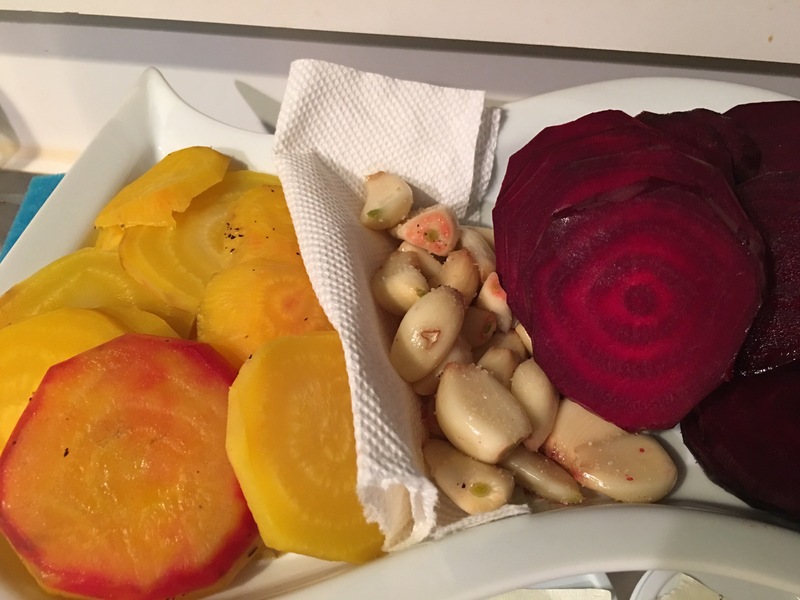 Because I put both of them in at the same time I noticed that the golden beets were softer than the red beets, so next time I will individually wrapped them and put the red beets and 20 minutes before the golden ones. You can also make a double batch and then dice the leftovers to use on salads or in a pilaf. I like to store them in mason jars. Previous Post Simple but fabulous!